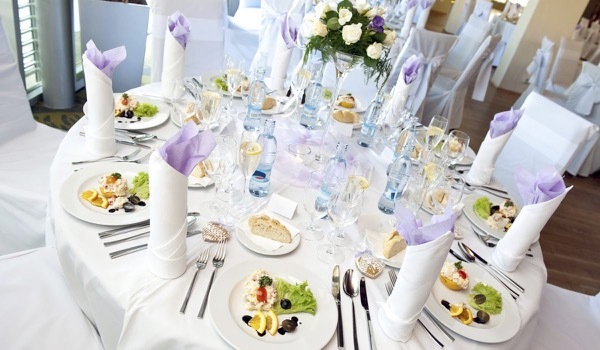 Is table-arranging at dinner- and lunch events giving you headaches? Not any longer, because the start-up Networktables offers you a simple and user-friendly online solution. From now on, your guests can choose for themselves with whom they share a table. The principle is very simple. The only thing you as an organizer have to do, is make an overview of the available tables. You simply assign the tables numbers or names, just as you or your client require. The design of the table overview can also be completely custom-made: in your colours, with your logo and in your house style. When your plan is ready, you can publish it online. This can be done very easily, on your event website, without the need of complicated additional code. Next, it's your guests turn. They invite the people they want to meet with personalized invitations through email, Facebook or LinkedIn. You can very easily import guest lists. That way, your guests do not have to register again. You could say your tables are practically filled up and promoted by your own guests. You can even sell seats online, because integrating payment methods such as Paypal, Visa, Mastercard or other credit cards is also an option. Networktables is a spin-off of Eattomeet, a website which allows you to organize network lunches and -dinners with like-minded people. With Networktables, you optimize the table management of large business events. That way you improve the networking possibilities for your guests. They invite the contacts that interest them to their table and are thus certain that they meet the right people.